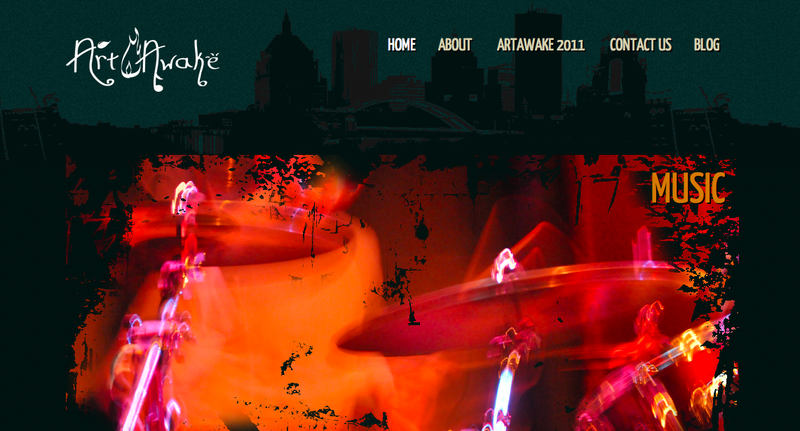 ArtAwake is an annual student-organized festival of creativity that gives life to a vacant urban space in Rochester, NY. The event’s rich blend of cultures features artistic exhibitions, performances, cuisine, and architecture. The group sought a bold site to showcase its visual and audio content while leaving room for a blog to communicate the latest happenings. Shadows and silhouettes can be exciting, but are difficult to manage well for various screen brightnesses and color profiles.